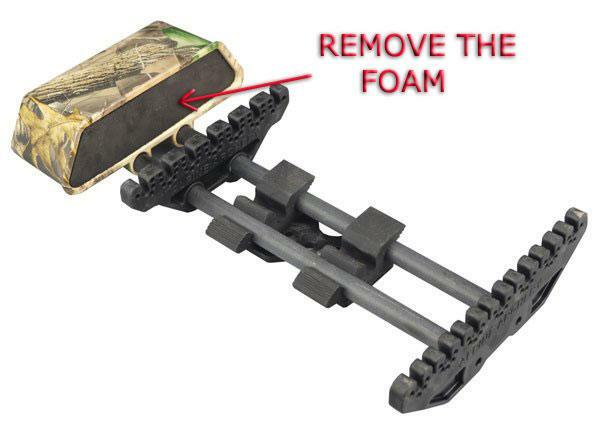 If you are shooting a fixed blade broadhead, you can use any permanent or detachable compound bow quiver. If you, on the other hand, are going to shoot a mechanical broadhead, you should use a quiver which “grabs” the arrow in two spots and has a head that is either hollow or can be hollowed out by removing a foam insert. This may seem like a minor detail, but mechanical broadheads require special care. When a mechanical broadhead and arrow are installed into a quiver with a foam head, the broadhead, if pressed into the head, may mechanically open; This may cause unnecessary wear and tear on the elements of the broadhead which keep it in a closed position. With this “wear and tear”, the percentage of premature deployment during flight increases. A proper mechanical broadhead quiver will hold the arrow shaft in two spots and protect the broadhead in an open cavity. The small step in choosing the right quiver absolutely can influence the chance of a successful hunt. The quiver in the illustration below can be found here. Below is the style of archery quiver recommended for a mechanical broadhead.